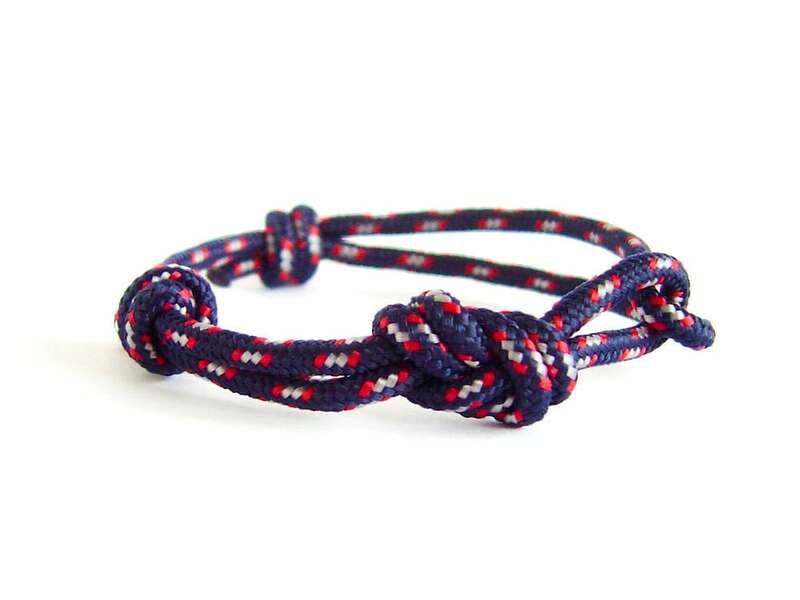 This figure eight rope bracelet - men and ladies suitable, is a rock climbing bracelet, knotted with the figure 8 knot bracelet. 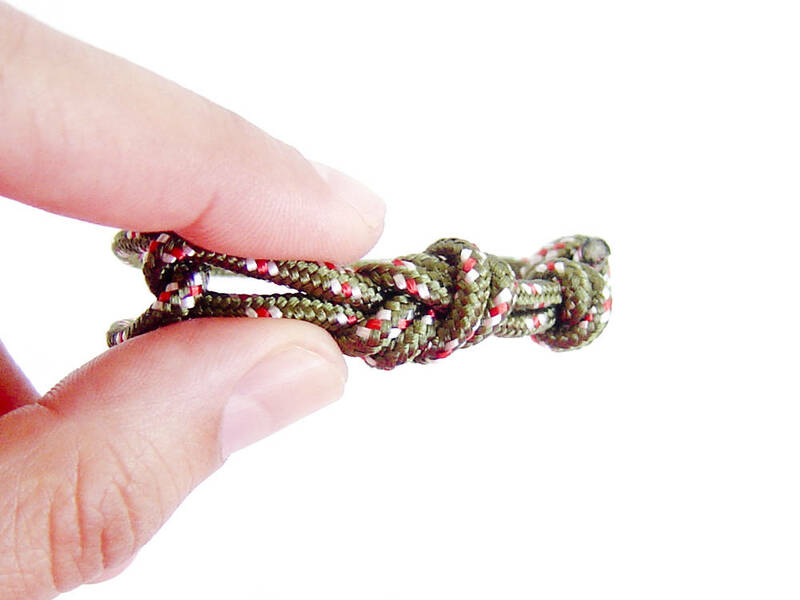 One size of this knot jewelry fits all! 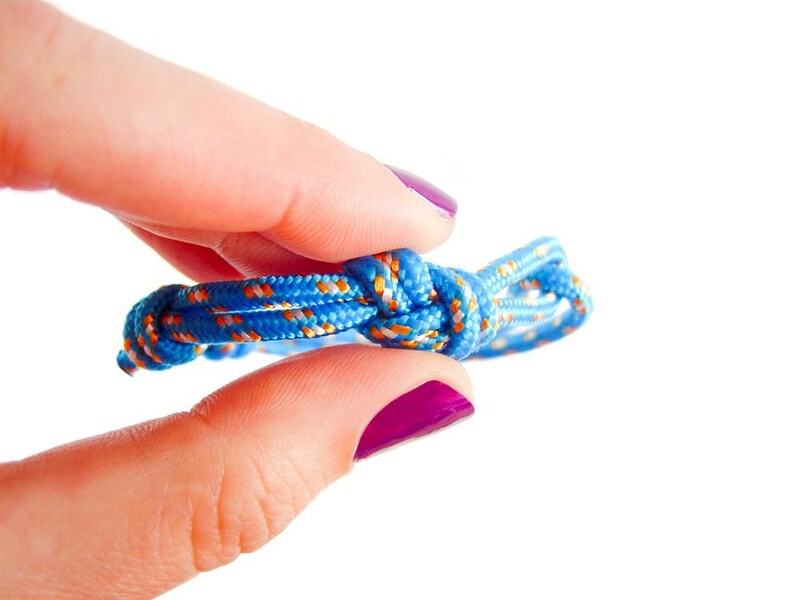 You can adjust its length when you slide one of its knots. 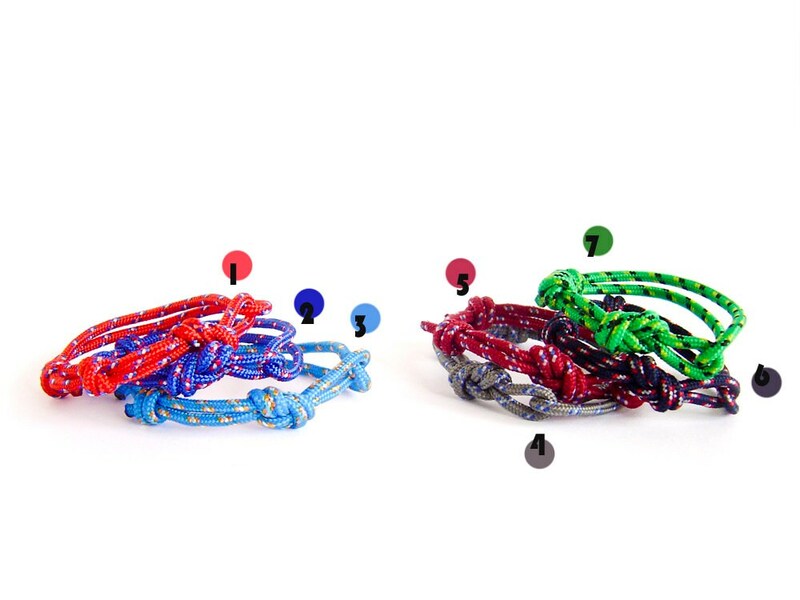 Nice idea is to use these bracelets as bridesmaid gift. 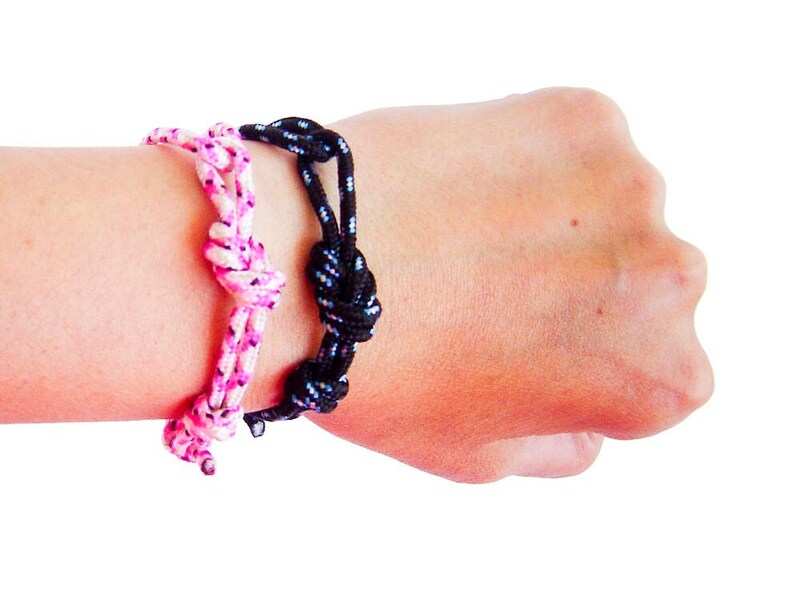 The diameter of the bangle can be adjusted from 14 cm (5 1/2") to 24 cm (9 7/16"). 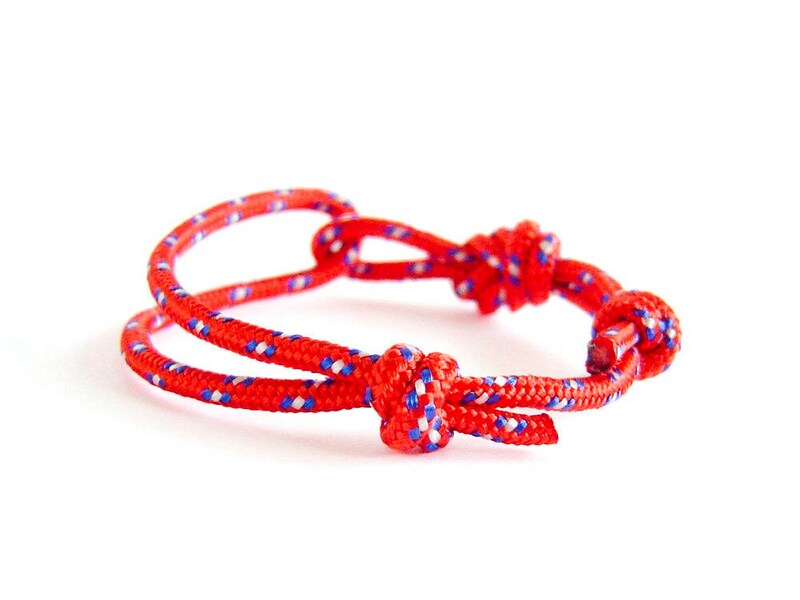 Nadamlada's unique rock climbing bracelet collection is beautifully designed and made in Europe. 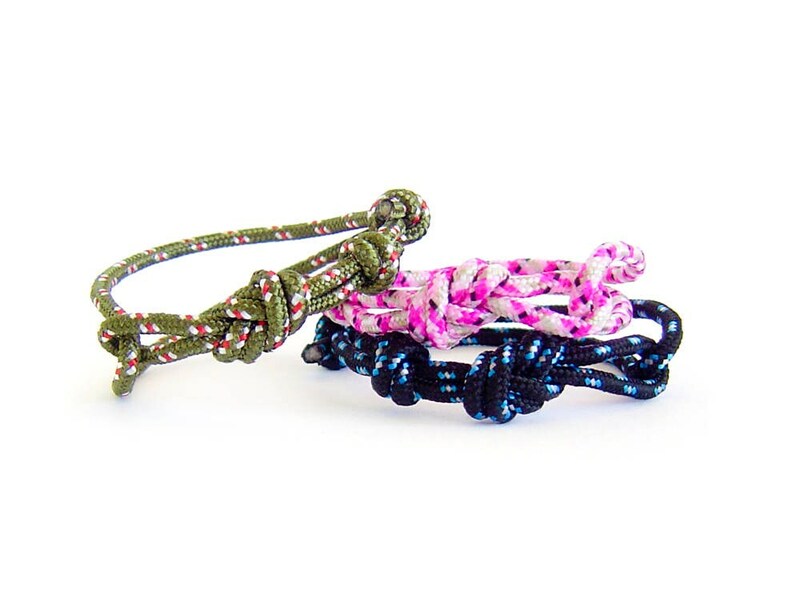 Our knot jewelry is for men and women who love the outdoors. 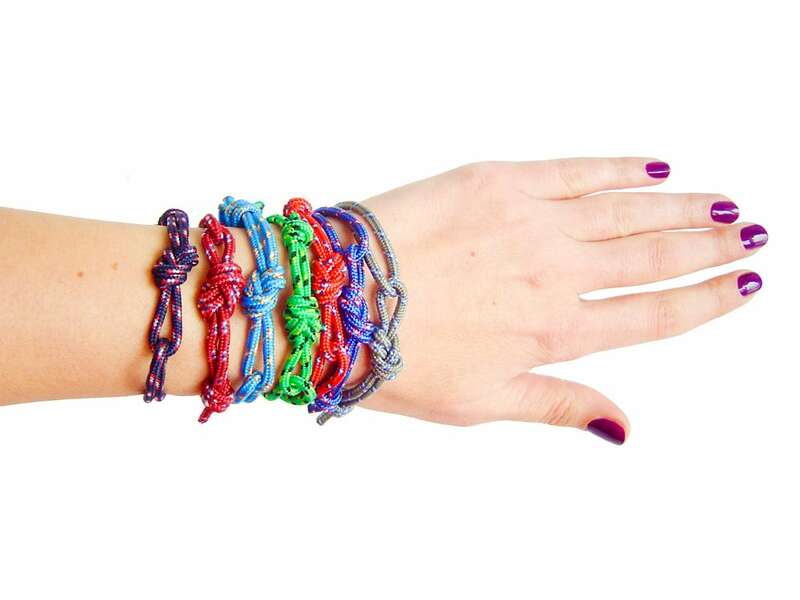 Each bracelet in our knot bracelet collection is simple to put on and take off but very secure. 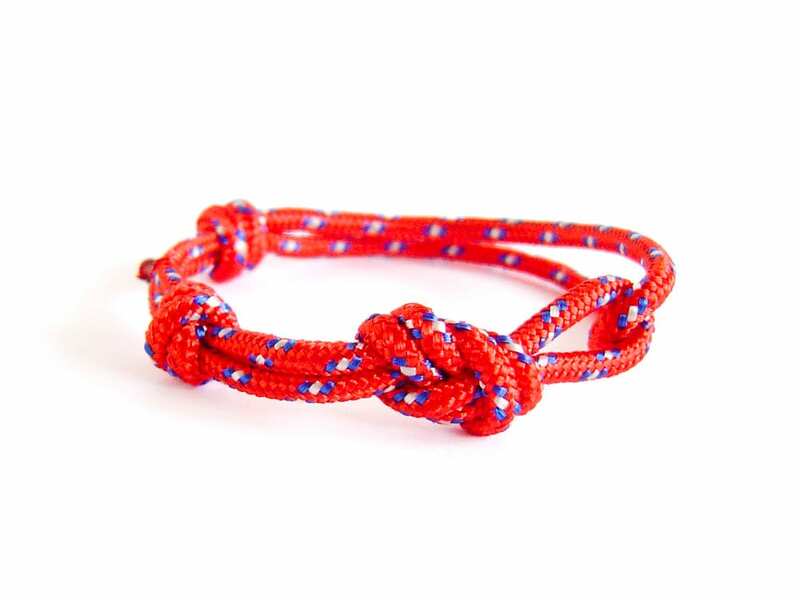 These unisex rope jewelry make wonderful gifts for any special occasion.